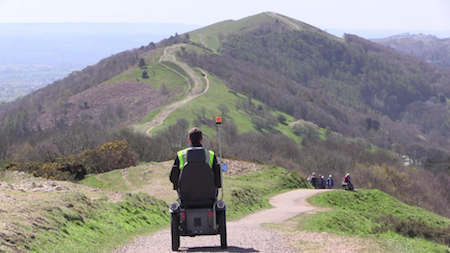 An all-terrain mobility scooter (Tramper) is available for hire from Cafe H2O within the Malvern Hills GeoCentre [read press release]. 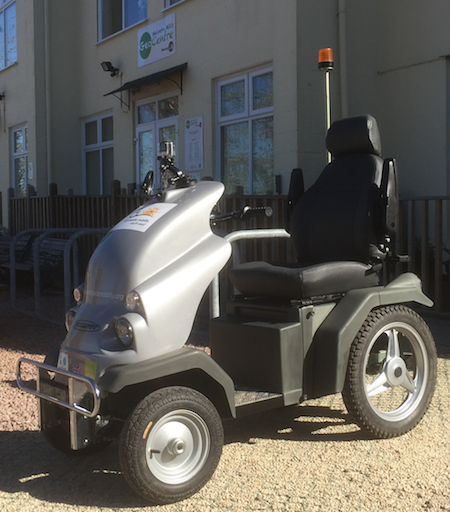 And, as of March 2018, we are delighted to have 2 Trampers now available for hire. 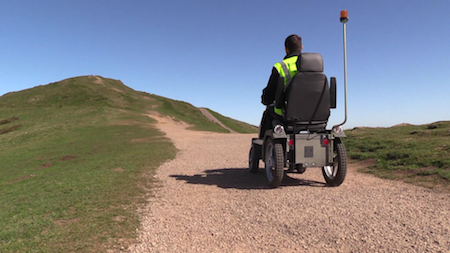 This scheme enables people with limited mobility to travel to the Worcestershire Beacon, enjoying the fresh air and marvellous views en-route. You can see some video footage of the route here. To use the Tramper, you must already be a member of Countryside Mobility, or you can join at the Centre. Full training is then provided (this takes about 10 minutes), and a designated route map provided. You must also be accompanied by an able-bodied adult during the trip. Details of the destination on Countryside Mobility's website. Available on days that the Centre and Cafe are open and subject to weather conditions. Advance booking advisable, so please contact us. 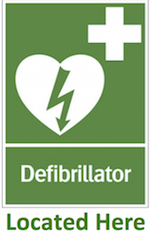 A community defibrillator is available 24 hours a day in a secure cabinet in our car park. The key code for the cabinet is obtained by dialling 999 or asking at the Cafe during opening hours.